Whether you’ve been searching for that new Mercedes-Benz CLA 250 or haven’t quite made up your mind yet, chances are we have the perfect Mercedes-Benz for sale on our lot right now. 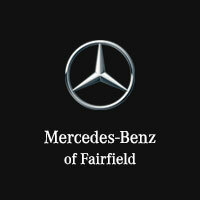 At Mercedes-Benz of Fairfield, we always offer a wide variety your favorite Mercedes-Benz models in a countless amount of colors and trims. And our assistance doesn’t stop when you drive off the lot in your shiny, new vehicle – our experienced technicians will be there for you to ensure your car is always ready for the road. After you browse our online inventory and get pre-approved for financing, stop by our dealership to take a look at all the new Mercedes-Benz models for sale in Fairfield. Polar White 2019 Mercedes-Benz GLA 4MATIC® Ambient Lighting (12 colors), Convenience Package, harman/kardon® Premium Sound System, Illuminated Star, Panorama Roof/Moonroof/Sunroof, Premium Package 1, Smartphone Integration, Wheels: 19" 5-Twin-Spoke, Matte Black. Recent Arrival! 23/31 City/Highway MPGPolar White 2019 Mercedes-Benz GLA 4MATIC® Ambient Lighting (12 colors), Convenience Package, harman/kardon® Premium Sound System, Illuminated Star, Panorama Roof/Moonroof/Sunroof, Premium Package 1, Smartphone Integration, Wheels: 19" 5-Twin-Spoke, Matte Black.